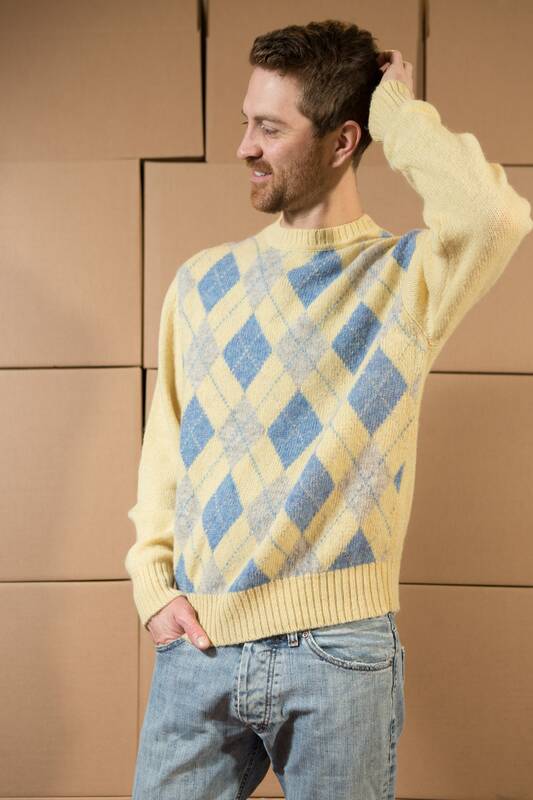 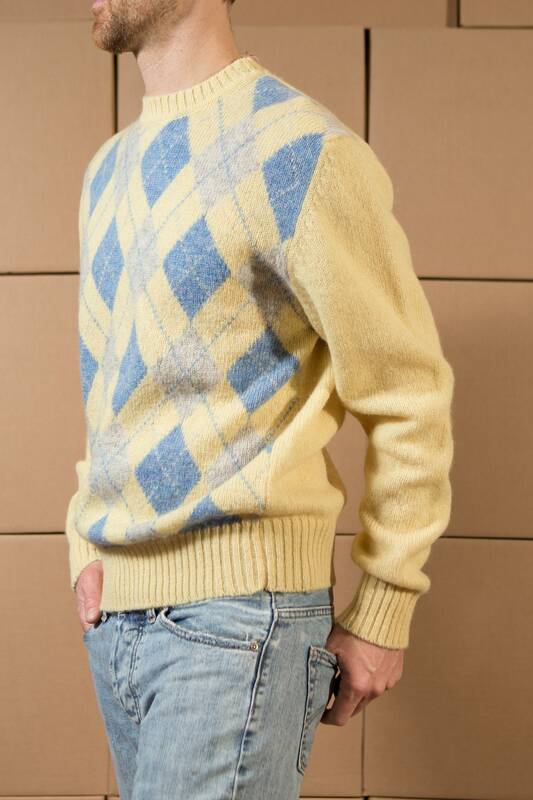 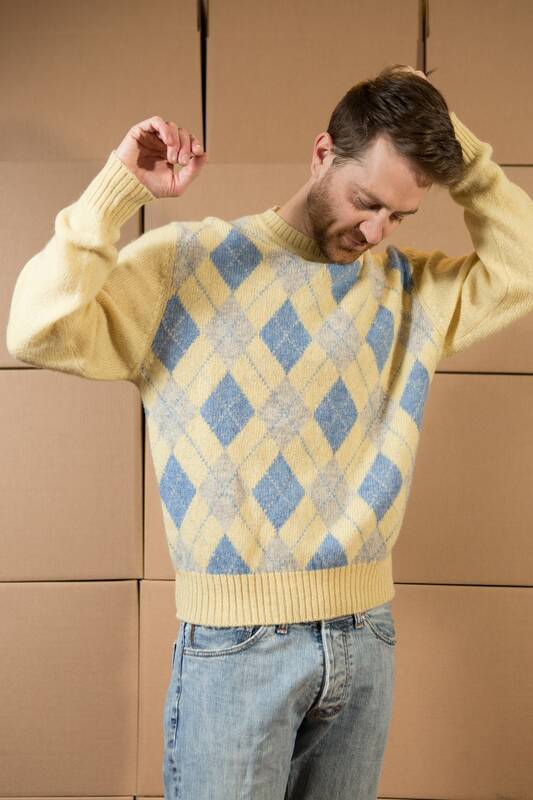 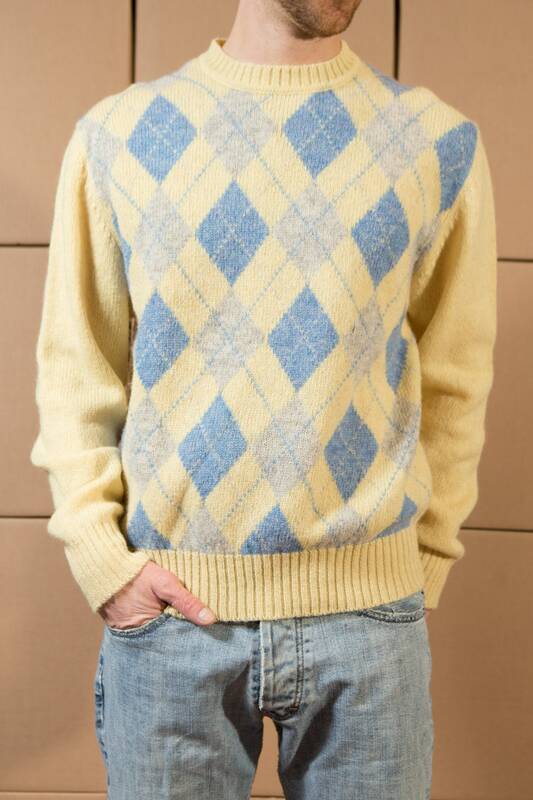 This is a vintage pale yellow sweater with a blue and grey argyle print. 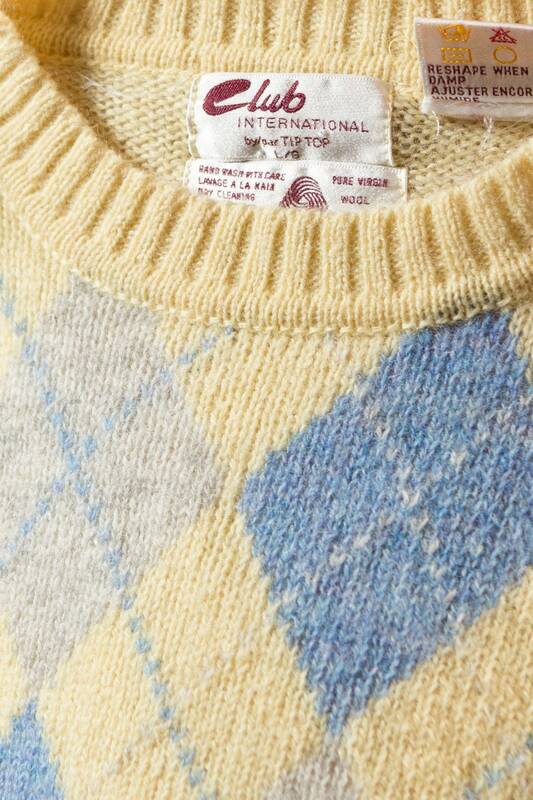 Size: Tag reads large (may have shrunk). 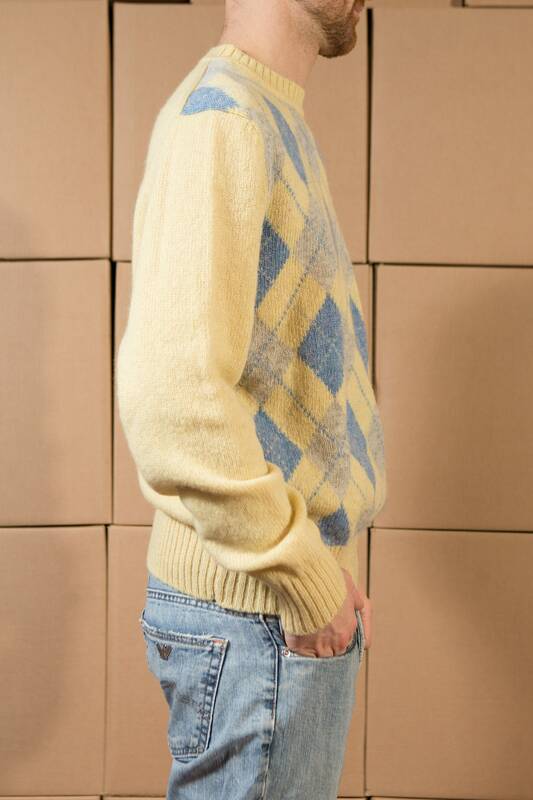 Fits Like: regular medium (model wears medium size). 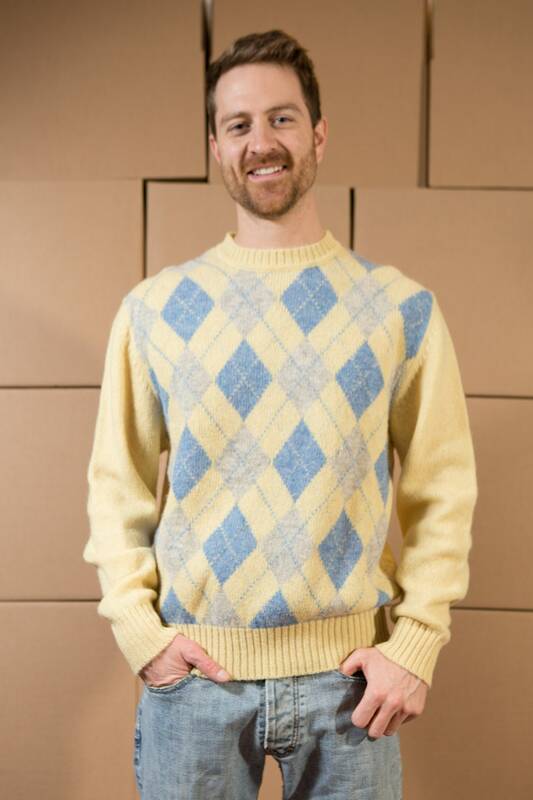 Length from shoulder to bottom of garment: 26.5"
Sleeve length (top shoulder seam to cuff): 26.5"